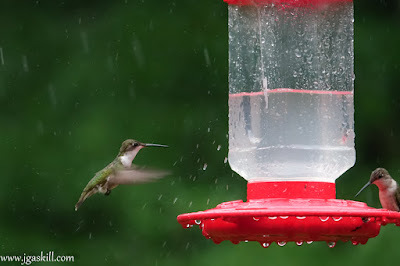 After finishing my daily “quiet time” one very rainy morning, I looked out the window and watched the little hummingbirds coming and going at the feeder as frequently as they would have on a beautiful day. I thought, They know they HAVE to receive daily nourishment in order to stay alive. No waiting for ideal feeding conditions. No sleeping in. Indeed, even one day of being deprived of food can mean death for these tiny creatures who often eat up to three times their body weight every day. They absolutely MUST find nourishment if they are to survive. No excuses. No procrastination. Let’s feast on one or more of these every day! And throughout the day. No excuses! Several years ago, a friend stopped by a day or so before Memorial Day. During his visit, we talked about many things, including the poems our teachers required us to learn when we were in elementary school (more than 50 years ago). "Did you have to learn 'In Flanders Field'? "I asked him. Rather than give me a "yes" or "no" answer, he began to quote the poem: "In Flanders Field the poppies grow between the crosses row on row." I tried to join him in reciting the poem. However, I dropped out of the recitation after I'd said the words above. He did, too, although he probably could have recited the entire poem word for word, since he has an incredible memory. The following day, I searched the Internet for a copy of that poem. I found it, as well as information about who wrote what has become the world's most famous memorial poem. I learned that it was written by Lieutenant Colonel John McCrae on March 3, 1915, the day after his friend (and former student) Alexis Helmer had been killed in the second battle of Ypres, Belgium. He composed it at the battlefront. Loved and were loved, and now we lie in Flanders Field. Yes, all too soon (from the human perspective), their lives had ended, as will yours and mine. Hopefully, they were prepared to meet their God. 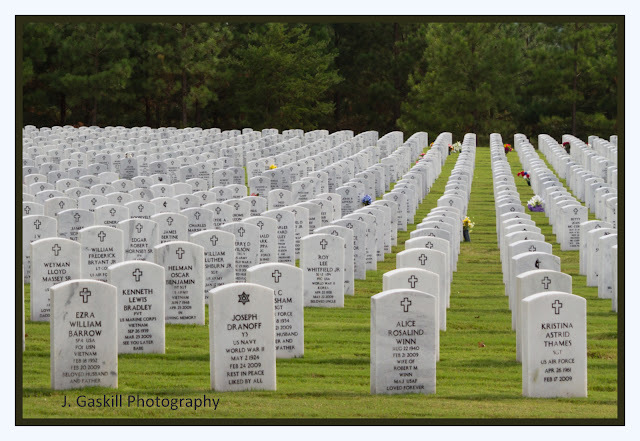 Hopefully, they honored Him and served Him and their fellow man during the days they lived. May that be true of us, as well. After talking about what a struggle it is to live a life that pleases and honors God rather than “self,” Amy Carmichael says, “There will come a day when He will say, ‘It is finished’... the I [the part of us that demands its own way] will be slain, never to come to life again; the soul will bloom as perfect as a flower” (p.122 in I Come Quietly to Meet You). Today is the National Day of Prayer, which has been observed annually since 1952. Even those of us who could not attend one of the many public observances throughout our country can still join with our fellow citizens in asking God to do a mighty work in America. Prayer is definitely a privilege, as well as a powerful way to positively impact the future of America. For example, the Bible says, "The effective, fervent prayer of a righteous man avails much [i.e., produces wonderful results] (James 5:16, NLT). The writer of Psalm 33 points out, "Blessed is the nation whose God is the LORD, the people He has chosen as His own inheritance" (v. 12, NKJV). The Bible also assures us time and again that God does hear and answer prayers whether they're offered by individuals or by groups of people. One of my favorite assurances is found in 2 Chronicles 7:14, NKJV, where God says, "If my people, who are called by My name will humble themselves, and pray and seek My face, and turn from their wicked ways, then I will hear from heaven, and will forgive their sin and heal their land." Let's pray earnestly and fervently--today and every day--for America to become the kind of nation God will choose to bless. Let's implore God to help us--individually and as a nation--to honor Him as our God and to seek to do whatever pleases Him.